There are countless reasons why you might be considering a wrongful death or personal injury claim. However, the most important thing to consider in any case is time. Contacting qualified Washington accident attorneys is the first thing you should do. If you hesitate to get legal advice, you may find yourself beset by insurance adjusters or opposing attorneys, people who do not have your needs in mind. An experienced Washington accident attorney can handle any personal injury case. Including car accident injury, dog bite attack, or any other accident that involved serious injury or death. In addition, they are knowledgeable concerning the laws in Washington state and can better inform you of your available options. The attorneys at Peterson Law Offices represent people injured through accidents or negligence. Often, the lawsuit is a wrongful death suit brought by a person who has lost a loved one in an accident. There may also be a vehicle crash or a boating accident in the Washington waters. Furthermore, Washington accident attorneys can help you with your claim. Especially when it involves the insurance company that is looking to settle for as little as possible. Also, the attorney is well aware of the laws and can effectively handle all the paperwork and the process for you from start to finish. They can help you seek proper compensation for any injuries you have suffered including lost wages and medical bills. In addition, they will make sure you receive a fair settlement for your personal injury case. One of the most common causes of a boating accident is simply bad judgment. The next most common cause is capsizing. Capsizing is often caused by failing to properly load or unload cargo. Capsizing may also be caused by adverse weather. It is one of the top causes of fatalities for those involved in boating accidents. If you have been injured in a boating accident due to another’s negligence, then you should contact an experienced Washington accident attorney to help you with your claim. In more cases than not, if you are injured in a boating accident, then you can claim compensation for your injuries incurred during the accident. As with any other type of personal injury case, a boating accident case is also taken seriously. It doesn’t matter if you are involved in a waterway accident or a roadway accident. If you experienced any injuries because of the negligence of someone else, then a lawyer can help you seek proper compensation. compensation to help pay for the medical bills involved because of the accident. It also helps account for pain and suffering and lost wages due to not being able to work. Filing a personal injury claim can be a lengthy, time consuming, and complicated process if you do not understand the laws in your state. An experienced attorney will navigate you through the process and tell you what to expect. After a dog attacks there is a list of things you should do immediately following the incident. First of all, you should try to obtain the names and addresses of any witnesses that may have seen what happened. You should also try to find the name of the dog’s owner. Next, take pictures of any injuries you sustained during the attack. Then seek medical help and attention to treat the injuries. Finally, you should file a report with an animal control agency in your area so there is a clear record of what happened for when the officers begin their investigation into the accident. The hospital or doctor that treats you will most likely create their own report. However, it is always best to file your own so it is thorough and more complete than what the hospital may have created. Sometimes the owner of the dog is insured. If this is the case you will want to obtain their insurance information and immediately forward the information to the experienced personal injury attorney that will be helping you with your claim. Statistics show that less than one percent of those involved in dog bite attacks actually receive compensation for their injuries. These statistics are mainly because many people do not bother to report the attack. If you choose not to seek help from an attorney then you risk the chance of the insurance adjuster offering ten to twenty percent of the amount you could have otherwise received for your injuries. Fortunately, the attorneys at Peterson Law Offices handle these particular types of cases for people in the Vancouver, Washington area and the Portland, Oregon area too. These individuals require qualified attorneys to represent their interest and fight for their clients’ rights. We represent individuals in both Washington State and Oregon. However, the office is located in the Metropolitan Portland area. Our office is easily accessible, and if you need to bring your children along don’t worry: it’s kid-friendly. 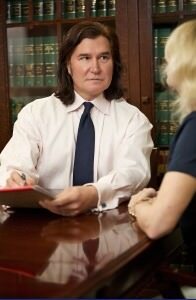 As attorneys, we explain all of your options to you and advise you on the best way to proceed. Sometimes people are partially exempt from liability.there is sometimes a time limit on filing a claim. To handle these kinds of issues, you need a competent personal injury attorney. A competent and professional personal injury attorney can help you come to a fair and reasonable settlement. Don’t just settle for what the insurance adjuster decides is good for you. Your attorney will have your best interests in mind. An insurance adjuster worries only about their own bottom line. If you are ready to seek help then call us today for your consultation so that we can review your case and best determine how to move forward in a positive direction. There is sometimes a time limit on filing a claim. As a result, you need a competent personal injury attorney to handle the claim.